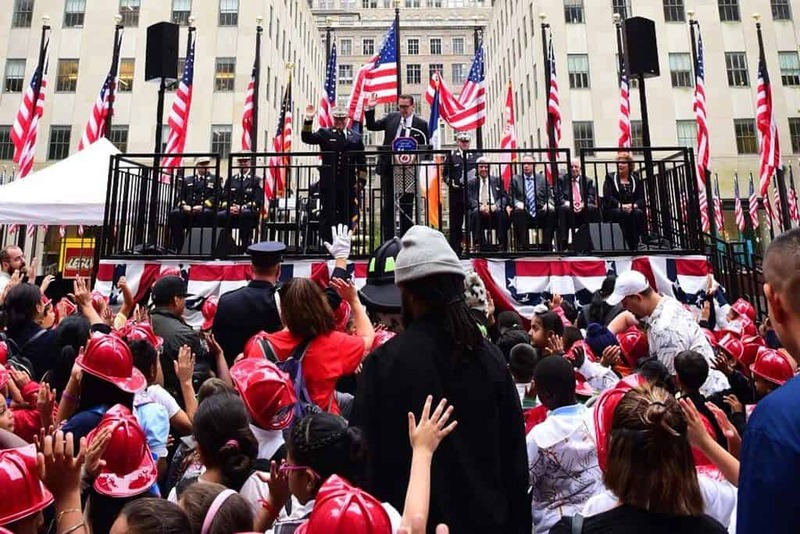 Junior firefighter and EMTs filled the Plaza at Rockefeller Center on Tues., Oct. 9 as hundreds of New York City school children joined the FDNY and the FDNY Foundation to celebrate National Fire Prevention Week 2018. 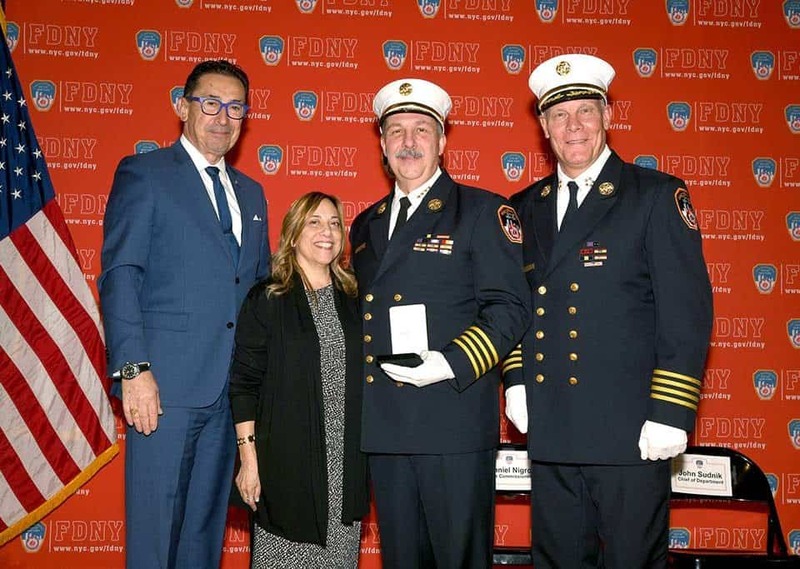 The special event brings children together with the New York City Fire Department to learn about fire safety and the importance of being prepared in the case of an emergency. The FDNY is hosting events throughout the city all week long. The main event took place on Tuesday at Rockefeller Center as Commissioner Nigro administered the Junior Firefighter and EMTs Pledge – an oath designed to remind children to practice fire safety – swearing-in the Junior Firefighters and EMTs. The students traveled to Rockefeller Center from schools across the five boroughs and had the opportunity to interact with firefighters and fire equipment. The students had the opportunity to watch demonstrations presented by the Fire Safety Education Unit, including a hands-on look at how cooking fires can begin and what smoke looks like inside an apartment or house. For more information about the FDNY Foundation’s public outreach programs, including the Fire Safety Education Unit, click here.